The Farnborough airshow begins next week, and the usual flurry of orders is certain to begin. 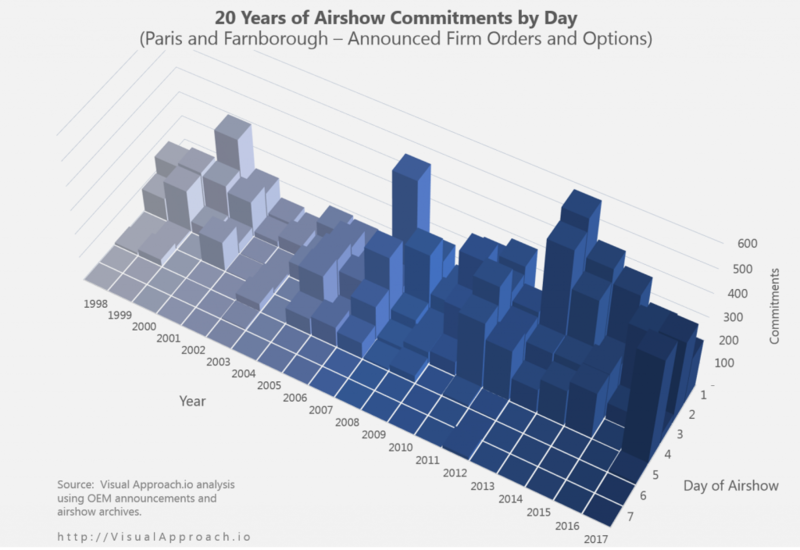 This week, we look at the Paris and Farnborough airshow order announcements by day over the past 20 years. In general, the order volumes at airshows have increased over the past two decades. The years following 2001 were understandably quiet years, but the order excitement around the airshows is as robust as it has been. Expect most orders during the first four days as these are the industry trade show days of the airshow, while the public gains access in the later days. Monday morning starts the excitement at Farnborough. Expect an exciting week through Thursday as this looks to be another strong year for airshow orders. 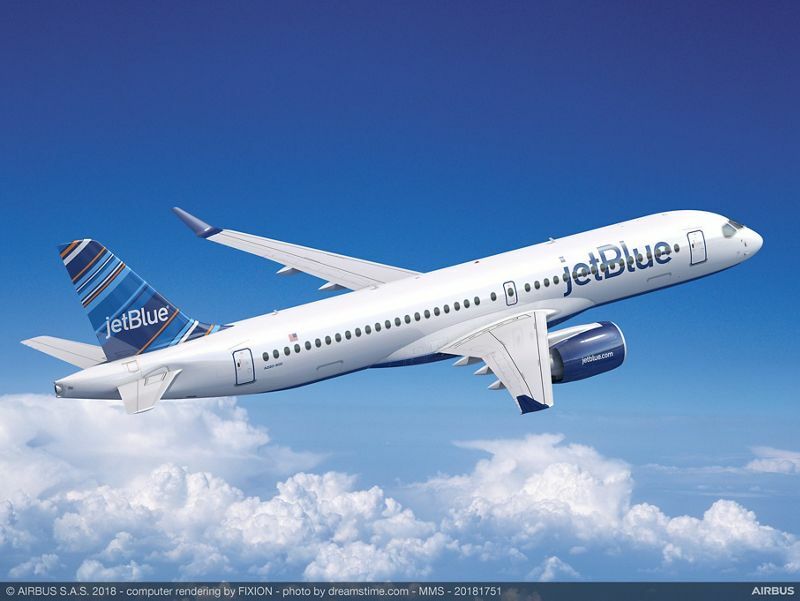 Already announced, but not part of the Airshow order tally is Airbus’ announcement that Jetblue has purchased 60 A220-300s, (the formerly named C Series CS300). We will look more into Jetblue and this order in future charts. A strong sign for the Bombardier – Airbus joint venture and for the future of the A220 / C Series. If you would like to receive new VisualApproach.io analysis when it is published, you can now have it sent directly to your email. Simply enter your email address and subscribe at the top of this page.